(A. tuberosum) Mild garlic-flavored flattened leaves. 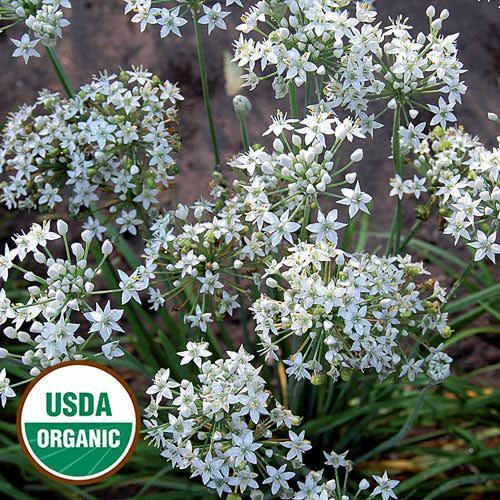 Beautiful white star-shaped flower clusters are a pleasant surprise in late August. Perennial in zones 4-8.